The window displays of retail stores were once considered so important to a business that there was an entire trade journal devoted to designing them. 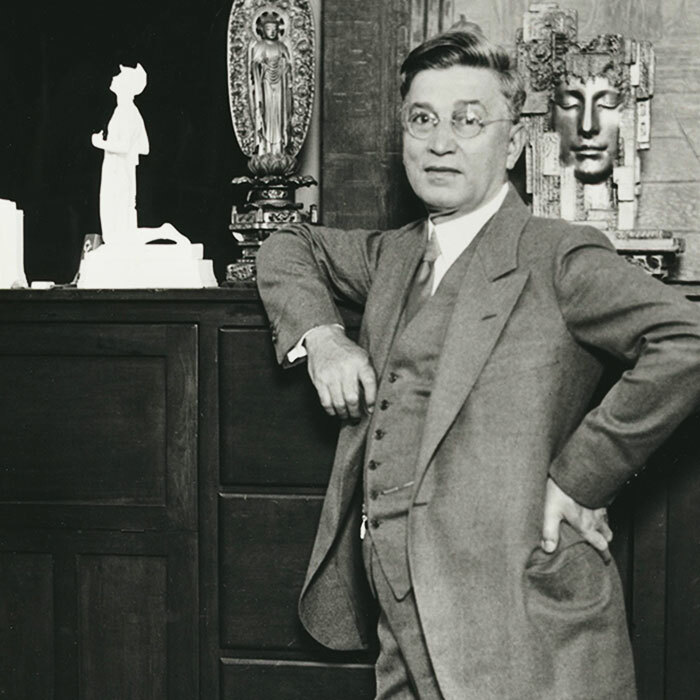 And the flagship department store of Marshall Field’s on State Street in Chicago was the acknowledged titan of window displays, thanks largely to Arthur Valair Fraser. Fraser came to Field’s in 1895 at the behest of store manager Harry Gordon Selfridge, who helped create the modern department store by introducing such features as display tables for merchandise and a tearoom to Field’s (he later went on to establish Selfridge’s in England). 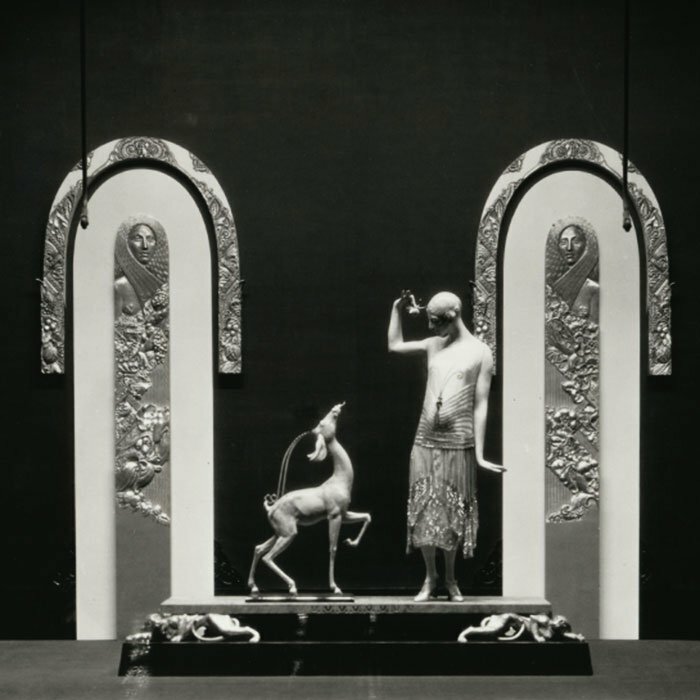 Two “show” windows had been added to the store in 1883 – previously windows had shown only the interior of the store – and Selfridge needed someone who could create exciting displays that would entice customers into the store to buy. A Field’s traveling salesman noticed Fraser’s displays in the town of Creston, Iowa, and recommended him to Selfridge, who hired him. 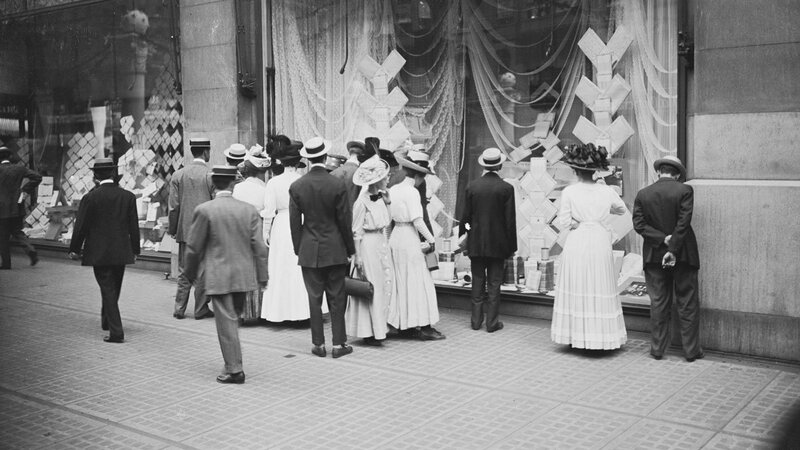 Near the turn of the century, window displays tended to be crammed full of merchandise and clutter. Fraser introduced a more artistic, “less-is-more” style to Field’s. 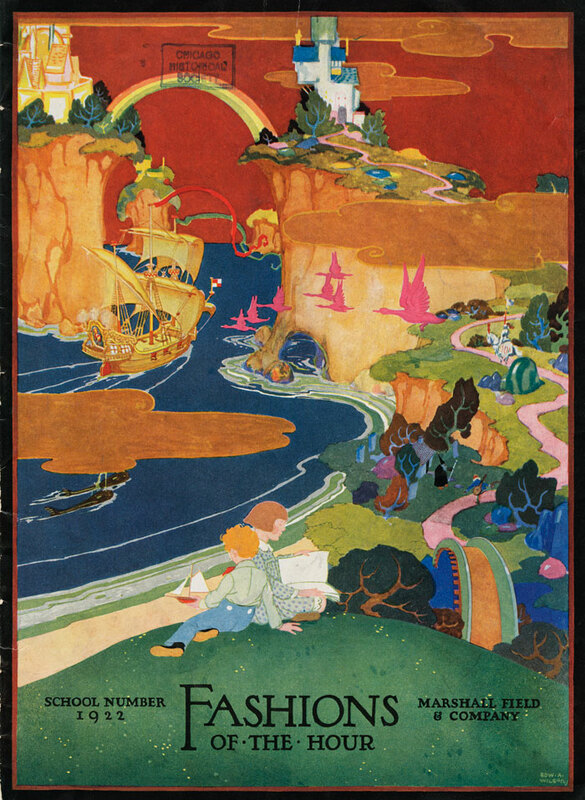 His innovative designs gained national attention through the trade publication, The Show Window: A Monthly Journal of Professional Window Trimming, which called him America’s foremost artist in window display in 1922 (for a time, the journal was edited by The Wizard of Oz author L. Frank Baum). When Fraser started at Field’s in 1895, the display department employed seven people; by 1916, he was part of a staff of 50. From 1919 to 1944, Fraser had free rein in running the display department, with budgets ranging from $150,000 to $175,000 per year. While his Christmas windows, filled with wind-up toys, were an attraction, it was his successor John Moss who made the first themed story windows, the year Fraser retired. Take a look back at the Marshall Field's Christmas windows, their origins, and heyday. 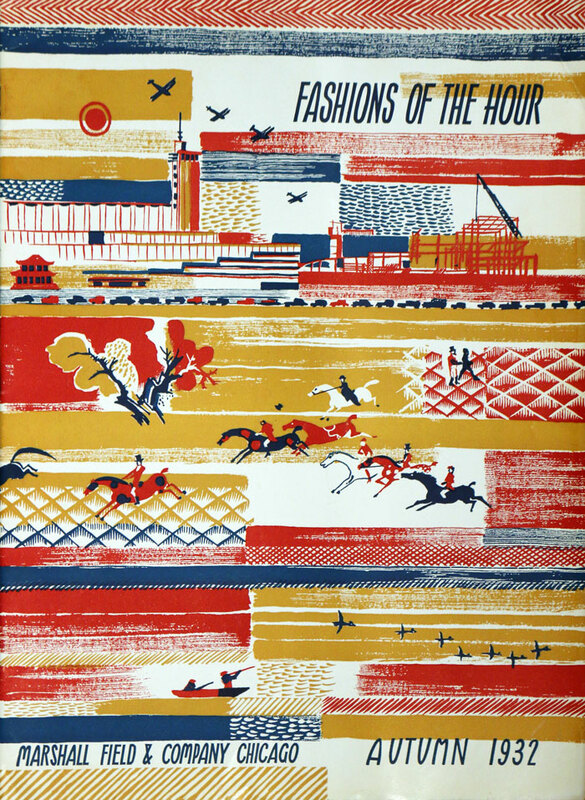 Another striking visual element of Marshall Field’s was its in-house magazine, Fashions of the Hour. 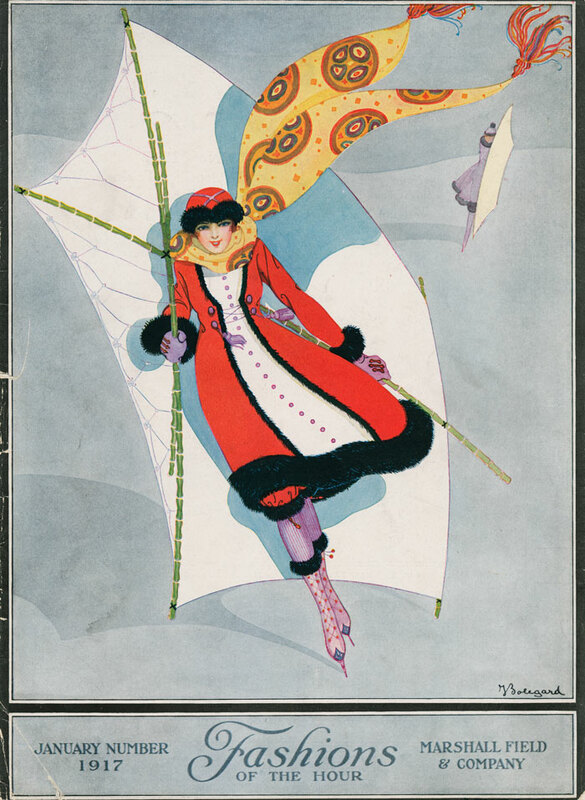 Published from 1914 through 1978, contributors in its heyday included Emily Post and Carl Van Vechten. 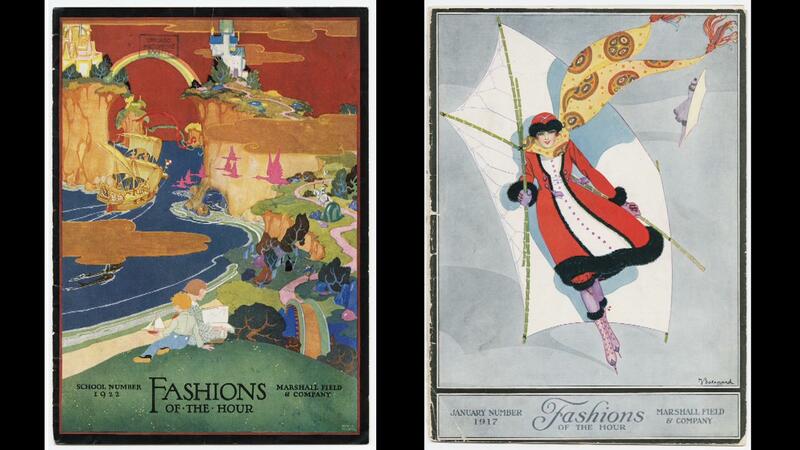 Under the direction of art editor Clara Wilson, a student of the painter James McNeill Whistler, it followed the artistic fashions of the time, from art nouveau to art deco to modernism. Some of those styles could also be seen in the store’s fine arts gallery, which existed into the 1950s. With such attention to art and aesthetic appeal, it’s no surprise that the Field’s store also houses a massive Tiffany mosaic on the ceiling above its main aisle, made up of 1.6 million pieces of glass over a 6,000-square-foot space. It took 50 people a year and a half to install. It’s just one more extravagant element in a store that pioneered a visual, artistic approach to retail.